A gorgeous and opulent collar with lots of metallic highlights! This is the "Sister" collar to the Orsini. 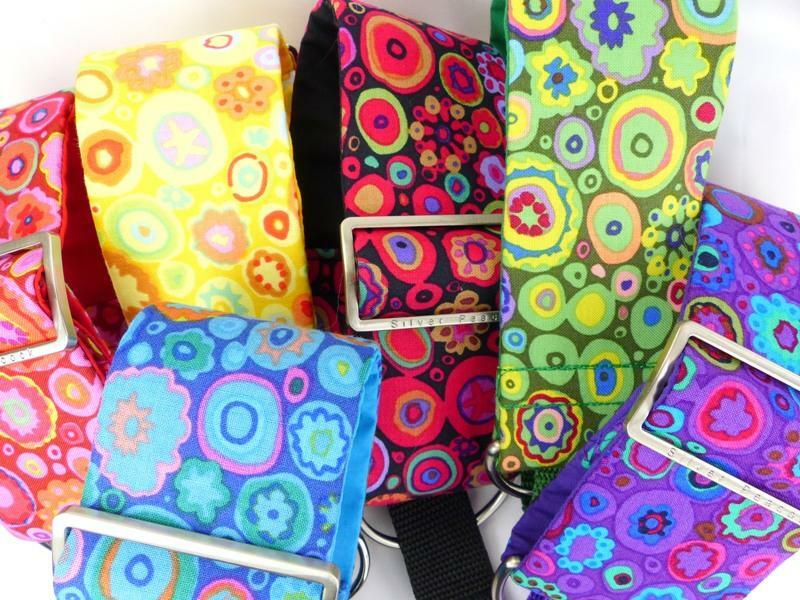 A designer cotton print of detailed paisley designs in the most amazing range of reds, blues, orange, aqua, pink, and purple shades all highlighted with lots of sparkling metallic print (the photo's don't show the metallics well at all! 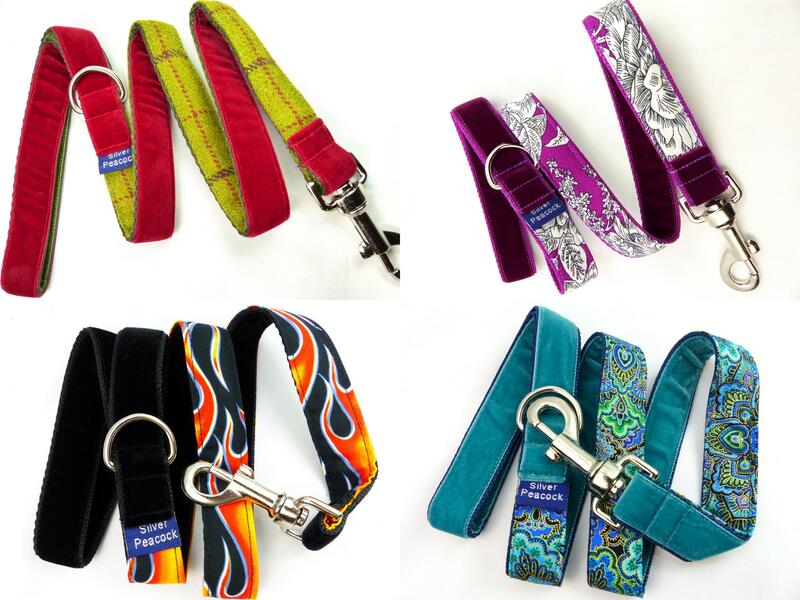 ), all in all a fabulous collar for the regal hound - this will look stunning on black cream, and brindle hounds. The collars are lined in complementary blue fabric and are finished with our signature robust silver coloured hardware. The martingale has a blue coloured webbing section.